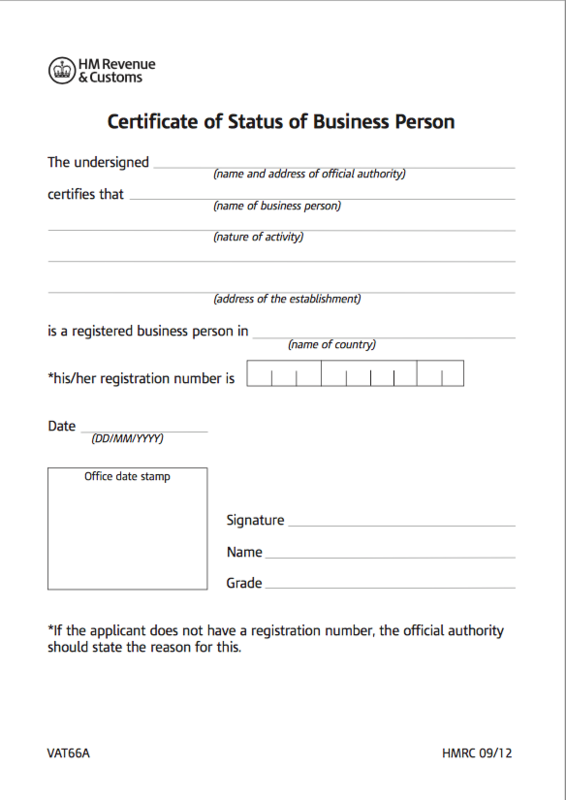 When you make your first application you must also include a certificate from the official authority in your own country showing that you’re registered for business purposes in that country. When you apply for the certificate, make sure you ask for it to show all the information that the tax authorities will need to process your application. For example, if the invoices are made out in your company’s trading style, the certificate must show this as well as the name of the person registered. It must be an original certificate, a photocopy is not acceptable. Each certificate is valid for 12 months from its date of issue and will cover any applications you make during that year. Once the certificate has expired you’ll need to send a new one with your next application.